This is the second blog post from our guest blogger Dóri Sig. Dóri is a fellow Icelander and he is also a bit of a legend. His coverage of the protests that accompanied the Icelandic crash is unique and he is also an accomplished photographer and traveler. Here is Dóri on CNN explaining the rioting in 2009. Previously he has blogged about the lonely mountain Hafursey. Asbyrgi is a national park near Husavik in the north of Iceland. When viewed from above you can see it is shaped like a horse shoe. According to legend it was formed when Odin´s horse, Sleipnir, galloped on the ground. One translation of the word “Asbyrgi” is “haven of the gods” and indeed it is a divine place to visit. It is quite beautiful and is a must to visit for those to come to the north of Iceland. 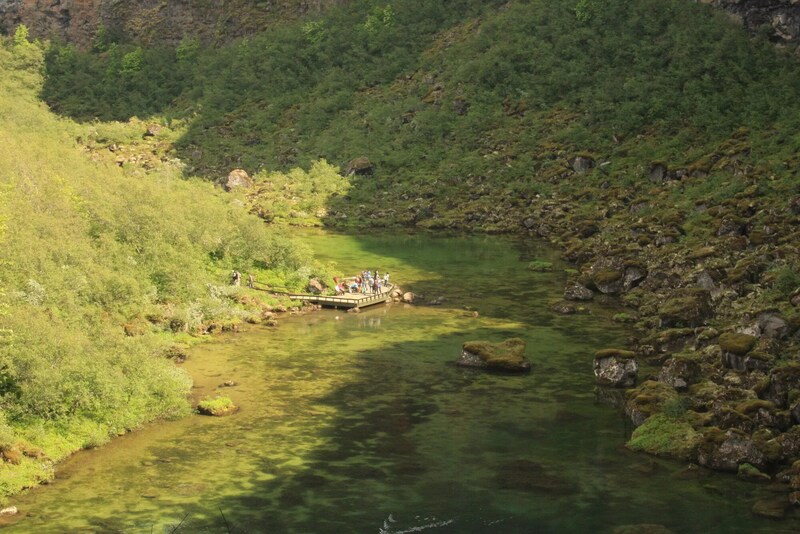 As you can see on the photos and video there is a small lovely lake at the bottom of the cliffs. Asbyrgi is featured in the documentary “Heima” by the Icelandic band Sigur Ros but back in 2006 the band played at an unforgettable concert in Asbyrgi. The whale watching capital of Iceland, Husavik is close Asbyrgi. A little bit further is Dettifoss, the most powerful waterfall in Europe.